These Gears have to helical angled teeth in opposition to each other. So one is Left handed and the opposing side is Right handed helix angle. 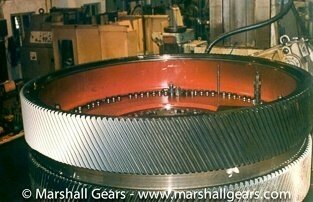 Often the both helical angled gears have a small gap in the middle to facilitate gear hobbing operation. 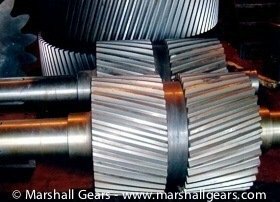 Double helical gears have more than double the contact gear tooth area compared to single helical gears and hence have more load and power transmitting abilities. These gears also operate at low noise levels and high speeds. By the nature of their construction, the two opposing helical angled teeth cancel the side (axial) thrust generated and hence are self-balancing. Another type of double helical gear with no gap in the middle is the Double helical gear, also known as Herringbone gears. 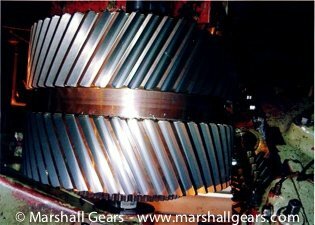 The double helical gear has two sets of teeth cut in the form of V shape, and they execute their function as two mirrored helical gears joined together. They are equal to a pair of helical gears; one teeth with the right-hand helix and the other teeth with a left-hand helix and both the teeth are secured together. Such a type of mirror arrangement is to cancel out the net axial thrust because each gear forces the other gear in the opposite direction. Their main advantage is to transfer power smoothly as more than two teeth are in contact with each other at any time. Their main advantage is to equalize the side thrust of one-half of the gear with the other half of the gear. 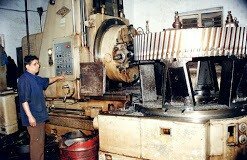 These are used to overcome the errors due to axial thrust. These stable double helical gears can be directly interchanged with spur gears without the need for different bearings. 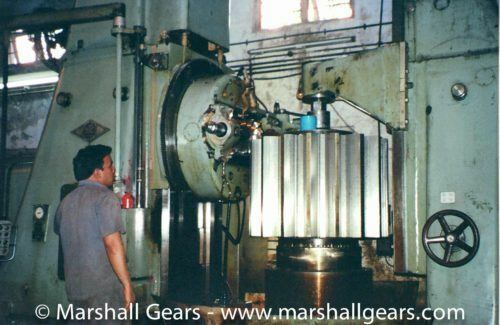 As A Double Helical Gear Manufacturer We manufacture the following Types of Double Helical Gears. 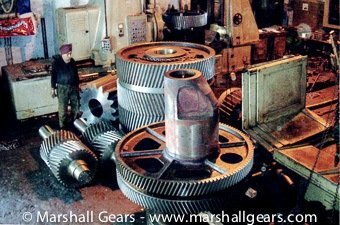 We manufacture the following types of Double Helical Gears. We make Pinions from forging materials like EN 9, EN 19, EN 24,etc.